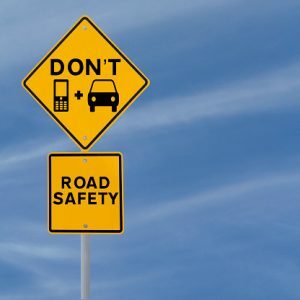 A recent study found that those states who have a ban on texting and driving will see an average reduction of up to 4% in emergency room visits after motor vehicle accidents. This number was even higher for those states who have primary texting while driving laws. Primary laws mean that drivers can be pulled over just for texting and driving alone. This is opposed to secondary laws which require that another traffic violation takes place first, leading the officer to pull the driver over. Across the United States, 47 out of the 50 states have some type of law restricting texting and driving. These were mostly developed in response to the growing number of distracted driving vehicle accidents, many of which leave behind a wake of devastation and destruction. The results of this research study were recently published in the American Journal of Public Health and primary bans increased a state’s average reduction in emergency room visits for injuries by as much as 8%. This even held true across various age categories of drivers, including the elderly who are typically not as likely to engage in distracted driving behavior. If you or someone you know has already been seriously hurt in a San Francisco personal injury accident because of texting and driving or other distracted driving behavior, schedule a consultation today with a San Francisco injury attorney.